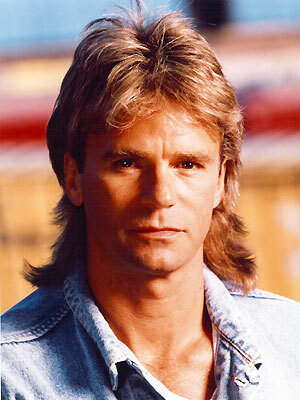 MacGyver was a badass. Give the guy a paper clip, some matches, a pocket knife, and a roll of duct tape, and in a minute or two he’d build you a fully functional bomb. Not a bomb for killing, mind you (Mac never killed. He didn’t even like holding guns. ), but handy for, say, blowing open a locked door to save the girl or disabling the bad guy’s getaway car. He possessed the uncanny ability to transform everyday objects into powerful tools and, hokey as it may sound, I credit him with helping me see that the whole is often greater than the sum of its parts. Ah, well, no one’s perfect. I’m willing to overlook his style blunders, as I’m quite certain I’m guilty of my own share of fashion faux pas. (My Aunt Michelle would be glad to detail them for you; I’m convinced she keeps a list somewhere of every questionable outfit I’ve ever worn.) So, regardless of whether you dig his dreamy locks, let’s agree that some things just are: summer follows spring, the opposite of up is down, MacGyver was a badass. Mac isn’t the only one who laid claim to my boyhood heart. Even before he came into my life, I loved Sir David Attenborough, with his melodic British accent and knack for breaking complex scientific principles into simple, layman’s terms. 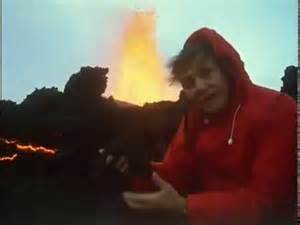 It’s going on thirty years, but I can still picture him standing next to a Hawaiian volcano in his familiar orange slicker, explaining how the lava formed tubes as it cooled. The tubes were like subway tunnels, the lava like freight trains speeding through them on a one way trip to the sea. Awesome, let me tell you! Some time after the PBS miniseries The Living Planet aired in 1985, while out on an errand with my mom one day (or so the story goes), I thought I might stump her with a bit of trivia I’d picked up from the good Sir. “Mom,” I said, “do you know what we’re driving on?” She smelled a trap, but wasn’t sure what angle I would take. “Middle Road?” she hazarded. When I shook my head, she tried again. “Tar?” Nope, strike two. After letting her sweat for a minute, I declared, quite matter-of-factly: “Mom, we’re driving on molten lava!” Okay, so my science wasn’t exact, but don’t blame David Attenborough for that. He taught me to observe the world around me – to look under every rock, peer into every hole, and study every mystery. Around this same time, studying one mystery or another, I discovered C.S. Lewis’s magical realm, Narnia. Suddenly, a new world beckoned – one every bit as real and textured as my world, but where anything was possible. Where animals spoke, where winter lasted a hundred years, and where an ordinary boy, not unlike myself, might reign as a wise and gentle king. I devoured the seven-book series and for the first time, found true delight in reading. Later, as an anxious thirteen-year-old interviewing for admittance to St. Paul’s School in Concord, NH, I was asked to name my favorite author. “C.S. Lewis,” I answered without hesitation. “Have you heard of him?” My interviewer, as I recall, was a jovial man named Mr. Green (not to be confused with Colonel Mustard or Professor Plum), and he found this question quite amusing. Little did I know that C.S. Lewis was, besides a beloved children’s author, a well known theologian. 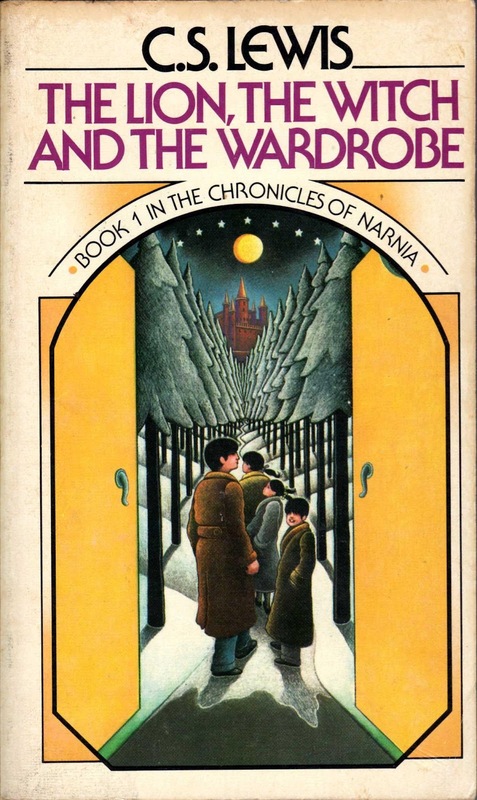 Whatever he is, to me, he will always remain the master of Narnia, the man who taught me to love books. In the winter of 1999, I discovered a different sort of magical realm while visiting my cousin, Sean, in Ireland. Having wandered into a Virgin Records store one afternoon in Dublin, I happened upon a lonely set of headphones connected to a sample of Radiohead’s OK Computer. In the blurb above the display, one reviewer had dubbed the album “the Dark Side of the Moon of the 90’s.” I had never been a huge Radiohead fan, but of course, being the semi-hip twenty-year-old I was, had heard Creep, Fake Plastic Trees, and High and Dry about a thousand times each on the radio. When I slipped those headphones on and hit play, my world changed. For months after returning to the States, I would drive around with my friend, Chris, in his old Camry wagon (the car in which I learned to drive stick) blasting OK Computer through his Rockford Fosgates and Pioneer 6×9’s, trying to decipher just what in the hell Thom Yorke was singing about. Have you ever tried figuring out his lyrics? Good luck, that’s all I have to say. We never cheated, though, never peeked at the jacket liner for a hint, and when we finally did manage to pick out a particularly garbled word or phrase, felt more than a little proud of ourselves. It was part of the magic for us, and when I think about all of the hours I’ve spent with Thom, Johnny, Colin, Ed, and Phil, I can’t begin to imagine what my life would be like without them and their sonic alchemy. Suffice to say I don’t want to imagine that life. These days, my hero is a guy named Steve. You’ve probably heard of him – maybe you love him, too, or maybe you can’t stand him. Maybe you just don’t care. Whatever – it’s cool. Everyone’s entitled to his or her own opinion. 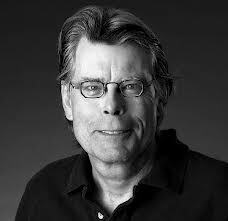 But regardless, just as summer follows spring, the opposite of up is down, and MacGyver was a badass, I hope we can all agree that Stephen King is a master of his craft, a trueborn storyteller, a cultural icon of our times. On my worst days, when I’m convinced I’ll never publish any of my work and that it’s all a bunch of garbage, this helps remind me that we all have insecurities, that even someone as accomplished as Stephen King isn’t immune to doubt. And then I pick myself up and move forward, because in the end, whether I’m published or not, I am a writer. It’s in my blood. All of these men – MacGyver, Sir David Attenborough, C.S. Lewis, the members of Radiohead, Stephen King – have, in their own ways, played a part in my life story. And because I write from my own life’s experience (not necessarily about it, but certainly informed by it), I must give credit where credit’s due. Not only did these men help spark the fires of curiosity, ingenuity, and creativity that burn within me, but over the years, they’ve continued to stoke the flames, inspiring me to pursue my own dream of, in some small way, changing the world, making a difference to some boy or girl, man or woman, who sits down on a rainy afternoon with one of my stories. And who knows? With a little luck, maybe one day someone who is touched by my work, who’s excited and inspired by it, will call me a badass, too. Until then, I’ve got my paper clip, matches, pocket knife, and duct tape at the ready…just in case.